SeaTac United is partnering with the NPSA Foundation to offer a new soccer program! 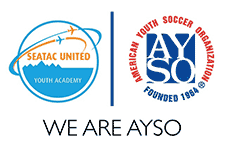 NPSA SeaTac is geared for youth to develop their soccer skills and understanding of the game through professionally-coached training and in house game play. Our program not only develops youth on the soccer field but also educates them on important life skills that they can use in everyday life i.e. discipline, respect, communication, work ethic, etc. We offer 3 hours of soccer per week, with practices on Mondays and games on Saturdays. At the end of the Spring season NPSA SeaTac will host Premier Soccer tryouts – see details below. Scholarships for residents and non-residents are available. The link for resident scholarships are below. Non-resident scholarships are available by calling 206.973.4680 or going into the SeaTac Community Center. Mondays will be training sessions focused on developing the players’ fundamental skill base and understanding of the game. Saturdays will be small-sided scrimmages to give the players the opportunity to implement what have they have learned. Same format as the Spring Session for the Rec players – Training on Mondays, Scrimmaging on Saturdays. These tryouts are for players that want to compete at a higher level than Rec. The teams that we form will play in the PSPL lowest division in Fall Season. If there are individuals that are ready but we don’t have enough to make a team, we can offer that player an opportunity to join a NPSA Titans Premier team at his/her age group. We will continue to provide a training program and in-house games for the Rec players in Fall. The Premier teams will train with their specific coach once a week and play games on the weekend. Price: $40 : Scholarships available, call 206.973.4680 for details. Players shall arrive on time with non-marking athletic shoes (not cleats), water, soccer socks, and shin guards. Qualifying SeaTac Residents can save 20-70% off the cost of SeaTac United programs. Click on the button to the left to be directed to the form. Follow the directions and apply early as it may take up to 2 weeks to get approval. We also offer assistance to non-SeaTac Residents. ** SUMA is currently on hold while we search for a new instructor team. 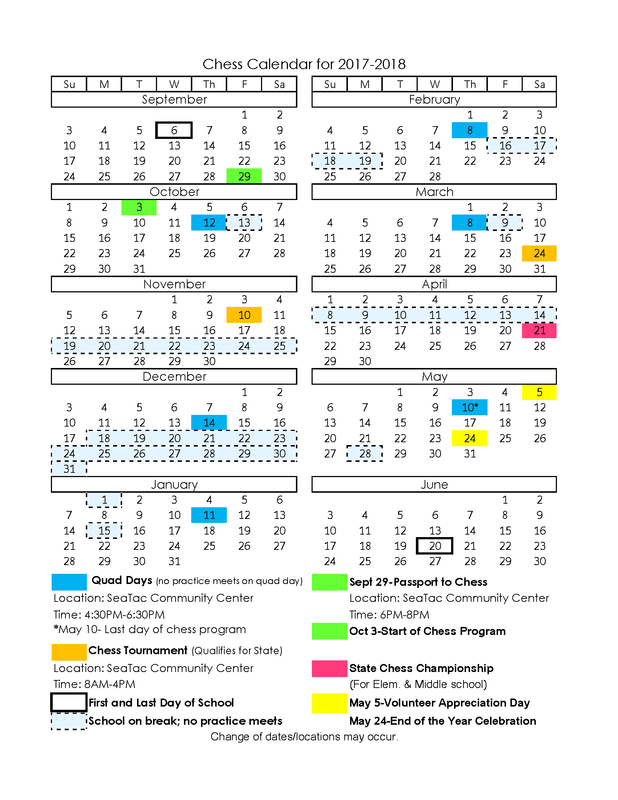 Please consider signing up for Castle Orange, our chess program. Thanks. SeaTac United Math Academy is our sports themed math program. Kids, grades 3-6, will get two days of SUMA per week. We have a pre-season, Draft Day where kids are picked by coaches and given a jersey. Then they play games as a team to earn a playoff spot and evetually reach for the SUMA Cup. We have and end of year party including team and individual awards. The kids have fun and they learn more than a bit of math. Castle Orange is our chess program for kids. Chess instruction has been shown to have a positive effects on students to include higher math (18.6%) and reading (11.2%) scores. Students become more interested in learning and they have a more positive self image. We can’t wait to see our kids start walking on this path of youth development.